View Basket “Faribā Vafī: Tarlān” has been added to your basket. Does one ever really know the other person? The father of Doan, a young woman who grew up in France as the child of Vietnamese parents, is the victim of a stroke and can no longer speak. He lives in an envelope of silence broken only by the sounds „O“ and „A“. Doan realises that actually she knows nothing about him: about his past or his origins. Now it is too late to get answers to her questions. This is the fateful irony: she who by profession asks questions because she is a journalist; she who has interviewed people from all different countries, has never asked questions of her own father. She knows nothing; has never researched the origins of her family who left Vietnam as exiles. In her family that was the rule: one kept one‘s own counsel. Translated from French by Dr. Philippe Wellnitz. 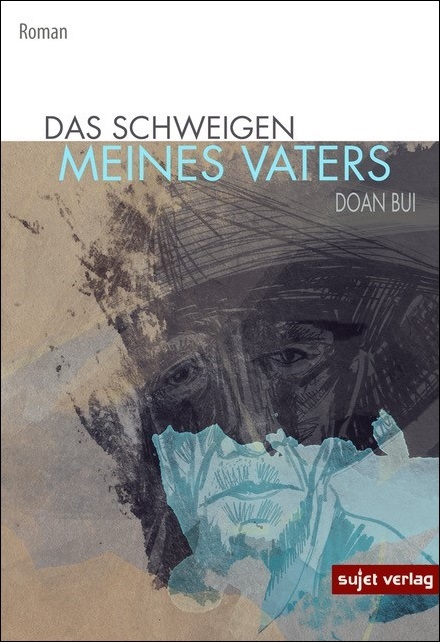 Doan Bui, born in 1976 in Le Mans (France) is an author and journalist with Vietnamese origins. As chief reporter of the weekly magazine „Le Nouvel Observateur“ she writes reports which receive great attention. One of these reports, which concerns migrants from Turkey who wish to reach Europe via Greece, was awarded the prestigious Albert-Londres Prize. „Le Silence de mon père“ is her first novel. In 2016 it was awarded the „Prix Littéraire de la Porte Dorée“. Bui now lives in Paris.